Update: November 20th. As many of you will have seen over the last several months my updates have been rather irregular. Unfortunately the osteo-arthritis in my hands is now at a stage where I'm very reluctantly going to have to cease updating my website. Hampshirecam will remain live until my hosting contract expires in the first quarter of next year. The final update will be in a couple of weeks. Finally a very big thank you to all of you who have supported Hampshirecam over the years and more recently offered many pieces of advice regarding my arthritis. Our best wishes to you all, David & Janet. 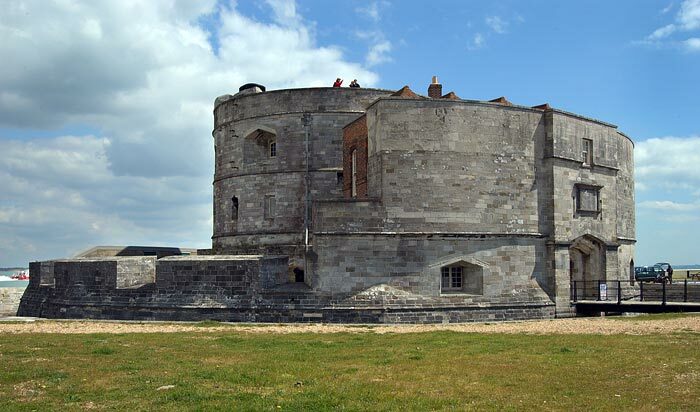 Calshot Castle - Built in 1539 by Henry Vlll, it was part of a chain of castles constructed along the south coast of England to counter a possible invasion from Catholic Europe. 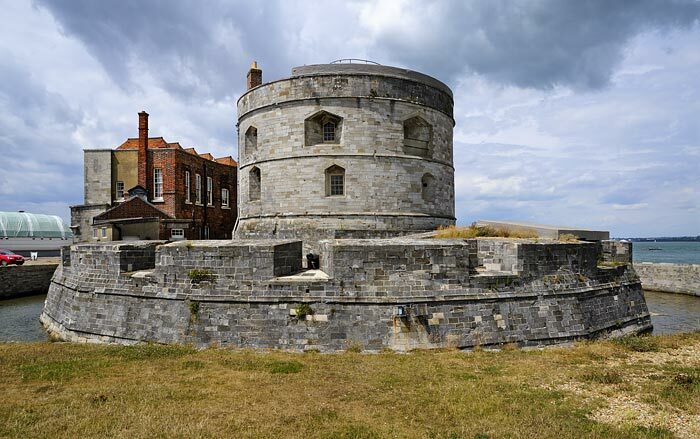 Last century the castle was manned during both world wars, renamed RAF Calshot in 1918 it provided a good vantage point for spectators watching the famous Schneider Trophy air races during the 20s and 30s. 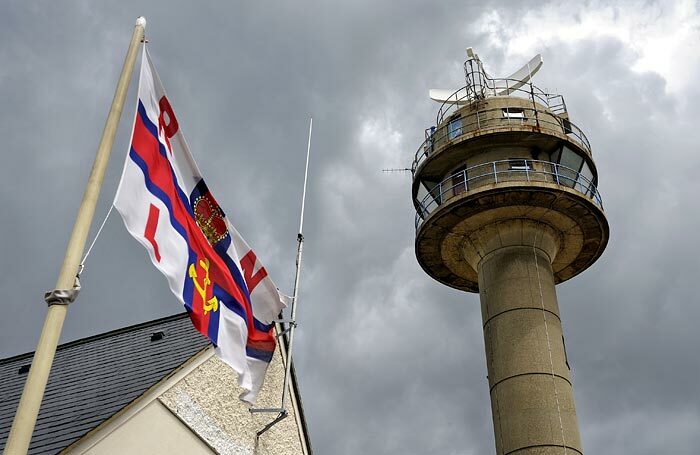 In 1945 it became a coastguard station until it was handed over to what is now English Heritage. 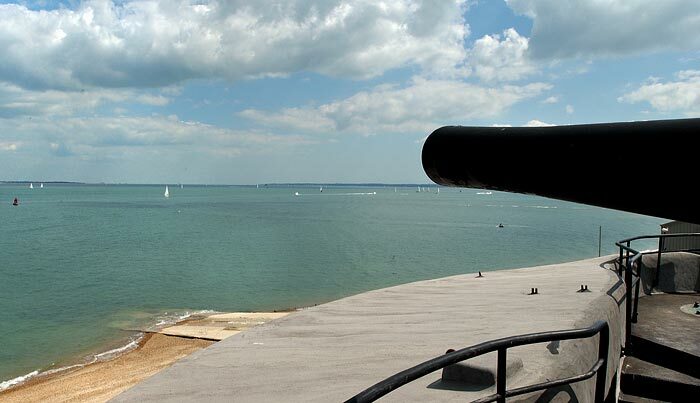 One of a pair of 12 pounder quick-firing guns mounted on the castle roof in 1907 which stood guard over the entrance to Southampton Water. 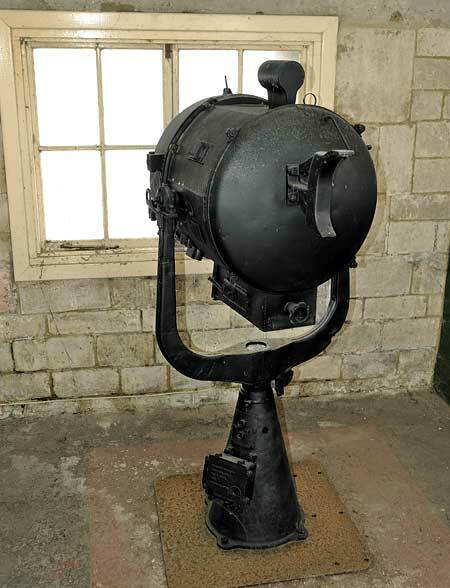 Below one of the searchlights that was used to illuminate targets for the guns. 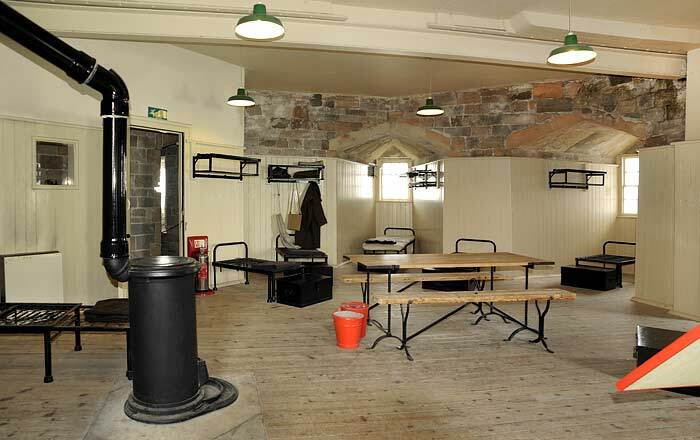 This barrack room designed to hold eleven men, was created on the first floor of Henry Vlll's castle between 1896 and 1900. 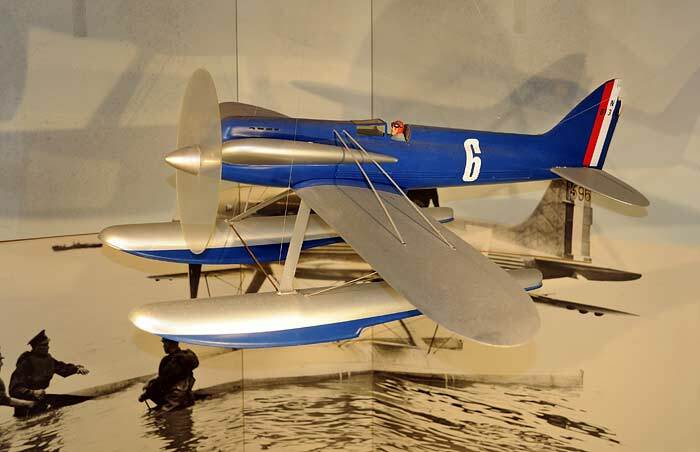 A model of the winning Schneider Trophy Supermarine S6b - see also the aircraft in bas-relief below. A bas-relief of a Supermarine S6b. 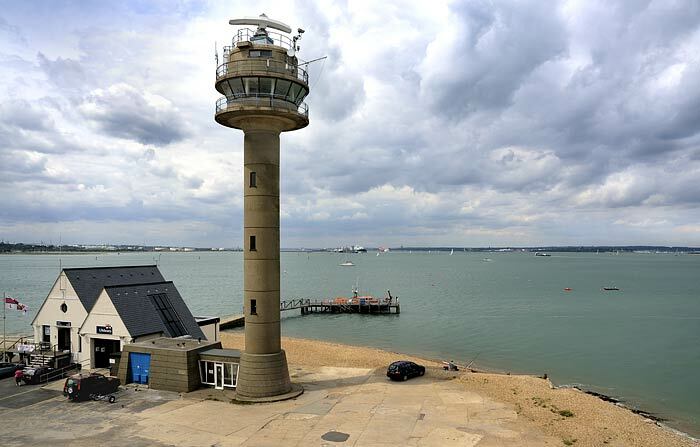 It was designed and constructed by Ken Leech in 1981 to commemorate the 50th anniversary of the Schneider Trophy air race held at Calshot in 1931. 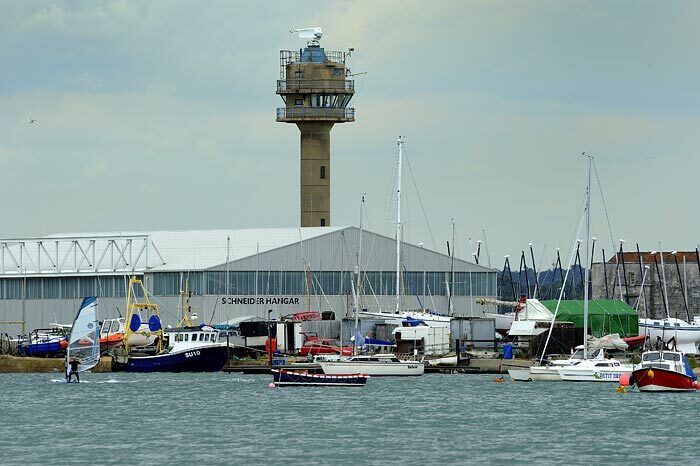 The coastguard tower and the Schneider Hangar. The Schneider Trophy was donated by Jacques Schneider a French industrialist to encourage the progress of high speed flying. The conditions of entry stipulated that only national aero clubs would be allowed to fly seaplanes in the race. 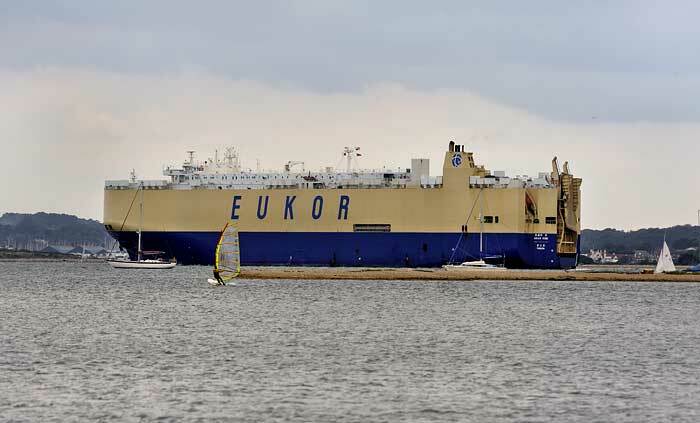 The competition tested seaworthiness and the course spanned some 150 miles over the open sea. Britain hosted the race in 1929 with Flying Officer H.R.D. Waghorn winning the competition in a Supermarine 6 at a speed of 328 mph. The Solent hosted the race again in 1931 and for the third consecutive time the trophy was awarded to an RAF team made up of Flight Lieutenants J.N. Boothman and G.H. Stainforth who flew their Supermarine 6B at an average of 408.8 mph. This was the last Schneider Trophy Race to be held. A coastguard tower and radar keeping watch over the Solent. Calshot is also home to the Royal National Lifeboat Institution's Arun class all weather lifeboat, the Margaret Russell Fraser. From the small to the large. 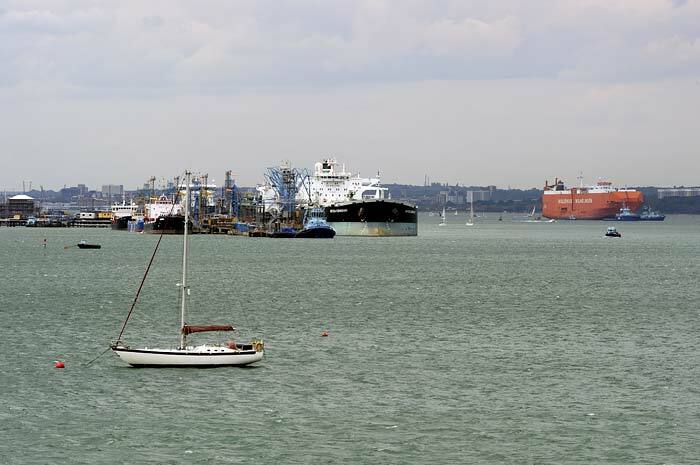 Some of the shipping that uses the Solent and Southampton Water. 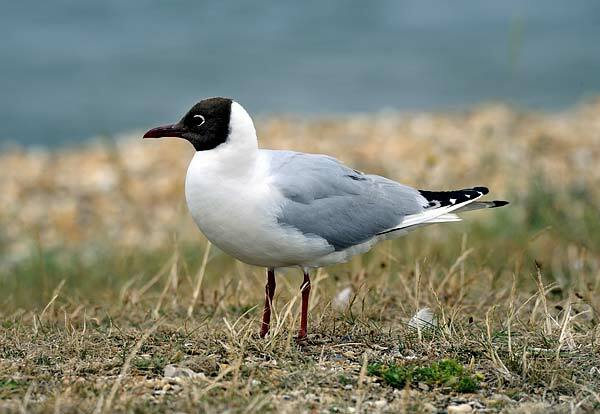 A black headed gull keeping a watchful eye.